For facilities in the Twin Cities, the Metropolitan Council Environmental Services (MCES) grants permits and monitors water use and discharge. The Industrial Waste and Pollution Prevention Section charges permitted industrial users a fee based on reporting frequency. Every three years, MCES reviews water use for permittees in to determine if service availability charge (SAC) fees need to be assessed. A SAC is a one-time fee based on new connections or increased volumes of wastewater. In 2017, one SAC unit (274 gallons of water per day) costs $2,485. Rather than imposing new fees immediately, MCES begins its SAC review one year prior to permit renewal and any new assessment. This allows companies to implement water conservation strategies to lessen the SAC impact. Water access charges (WAC) or other municipal-impact or connection fees can also be assessed to companies in the Twin Cities area. These fees are assessed by communities in the Twin Cities area, are based on SAC, and add to the total cost of the water being used at your facility. The wastewater fees of most publicly owned water treatment plants around the state are based on the amount of waste in the discharged water, otherwise known as the strength of the water. High strength numbers mean lost product and/or water treatment chemicals in the waste water discharge and strength charge assessments on your sewer discharge bill. 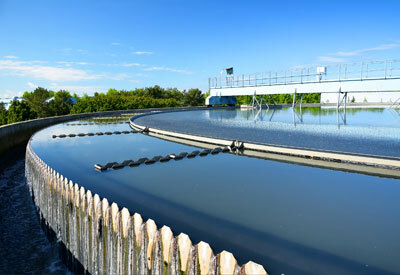 Companies are subject to this fee if they have continuous or batch discharges or spills of high strength wastewater. The strength is determined by the following factors (the levels in parentheses indicate when they are considered high by MCES). Biochemical oxygen demand (BOD) is the amount of oxygen it takes to degrade organic matter. Chemical oxygen demand (COD) is the amount of oxygen required to oxidize organic compounds (>500 milligrams per liter). Total suspended solids (TSS) is the total amount of suspended materials (>250 milligrams per liter). To estimate strength charges in the Twin Cities metro area, use the MCES Strength Charge formula. High BOD and TSS strength numbers really mean lost product and/or water treatment chemicals or discharges in the waste water discharge that result in strength charge assessments on your sewer discharge bill. Fact Sheet: Membrane Filtration Systems (2008). Membrane filtration removes particles that are too small for conventional cartridge filters to remove. Reference List: Emulsified Oil and Water Separating Products (2010). Use this list to find products that can separate emulsified oil and water to help extend the usefulness of process fluid or pre-treat wastewater prior to sewering to reduce loading strength charges. A variety of companies have worked with MnTAP to reduce their BOD and TSS loading to save money. The following case studies provide ideas of techniques and strategies that may work in your facility. Case Study: Supermom’s Saves $235,000 Yearly by Reducing Waste (2009). Supermom’s worked to reduce their water use, wastewater loading, and energy use to save at least $235,000 a year. Fact Sheet: Phosphorus: Reducing Releases from Poultry Processing Plants (2008). Poultry processing plants can contribute large BOD ,TSS, and phosphorus loading to wastewater. This fact sheet outlines a number of steps that can be taken to reduce poultry processing plant waste and includes examples from past projects. Intern Summary: Dairy Plant Reduces Water Use and BOD Saving Over $26,000 (2002). The facility decreased water use by fine tuning the computer programming that ran its sanitizing clean-in-place (CIP) systems. Adjustments saved over 8.5 million gallons of water, decreased BOD loading by 2.5%, and saved over $26,000 annually. Case Study: Ver-tech Labs (2009). The company reduced the BOD and TSS loading by over 15,000 lbs per year. Source Article: Kerry Bio-Science pg4 (2004). Kerry Bio-Science was among the companies asked by the Rochester waste water treatment plant to evaluate its effluent. Kerry found that water scrubbers, cooling applications, and extensive-cleaning needs generated significant amounts of effluent that would impact the WWTP expansion. Source Article: Stora Enso Reclaims Solids for Wastewater for Reuse (2002). Reclaiming usable raw materials from its wastewater, the papermaker reduced the amount of solids released to the sewer and justified a $134,000 project.